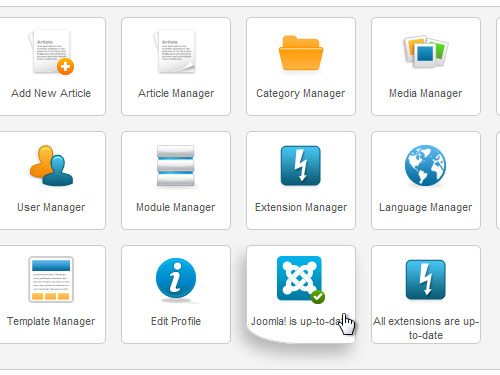 Open a browser and log in to the admin panel of your Joomla web site. To do that, add “administrator” after the address of your site in the address bar and press “Enter”. Enter your username and password. 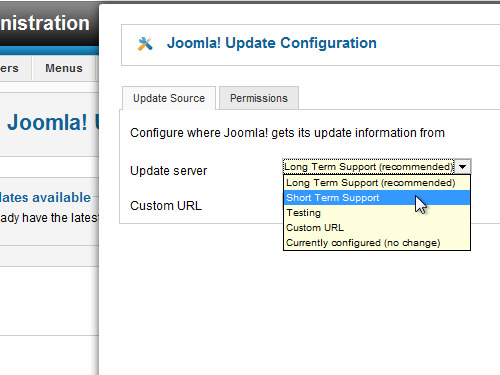 In the Joomla admin panel click the “Joomla is up-to-date” icon. On the next page, go to the upper right corner and press “Options” button. In the pop-up window, go to the “Update server”. Choose “Short Term Support” from the drop-down menu and press “Save&Close” button in the upper right corner of the window. On the next page, press “Install the update”. You will see a notice after the update process is complete. 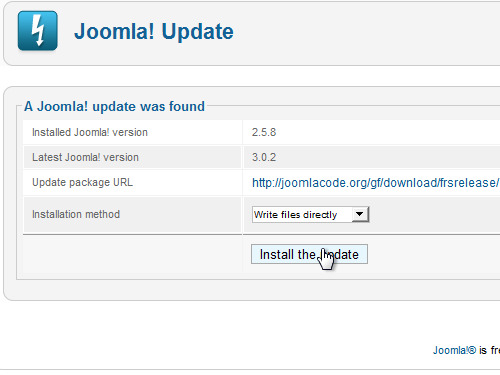 Now your Joomla site has been successfully updated to latest version.